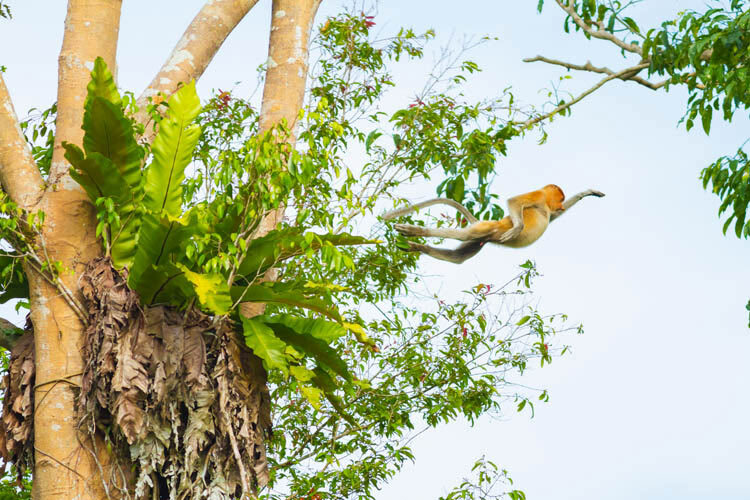 The award winning Sukau Rainforest Lodge nestles on the banks of one of Borneo's most important waterways, the Kinabatangan River, home to many of Borneo's magnificent wildlife. 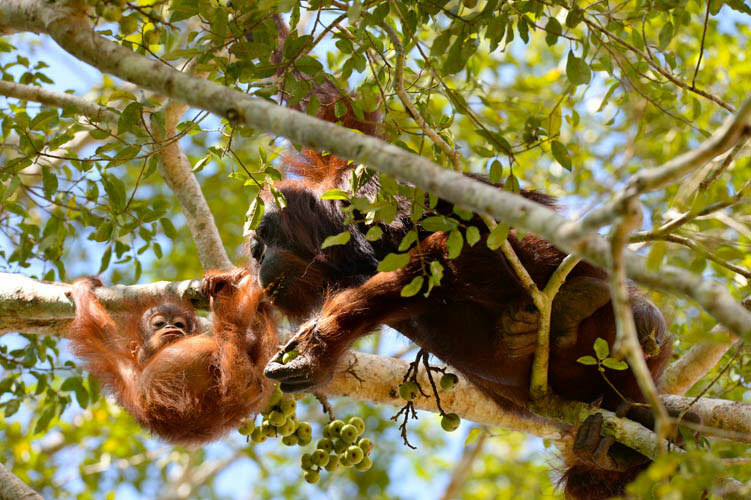 Immerse yourself in the tranquillity of the rainforest and the cacophony of its inhabitants. 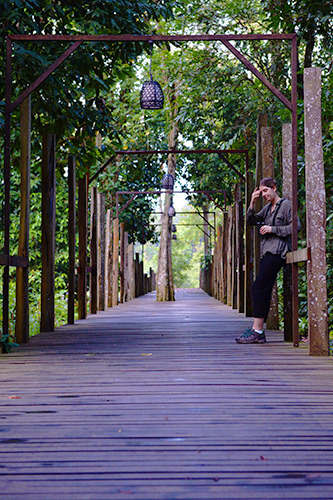 Sukau Rainforest Lodge offers the rare comfort and luxury in the midst of the Borneo Rainforest whilst retaining an Eco-Lodge ethos, the delicate balance of true sustainability. We promise to give you and your family an experience you'll always remember and one you'll never regret. 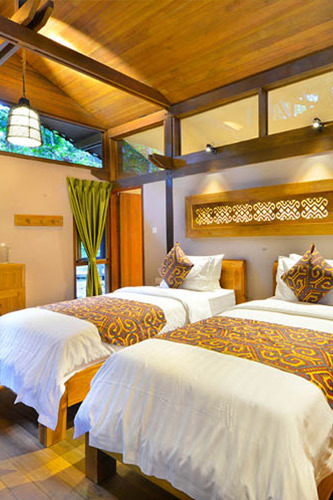 Sukau Rainforest Lodge is honoured to be certified with the Travelife Gold Certification for being a sustainable accommodation. Travelife is an international certification scheme that covers sustainability for hotels and accommodations around the world. 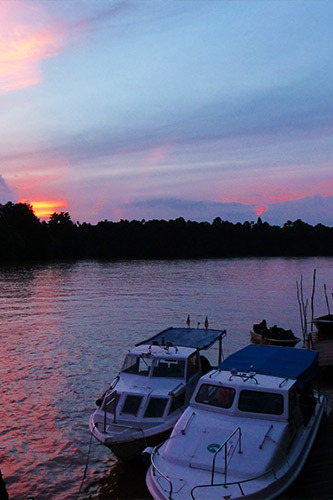 Sukau Rainforest Lodge is perched on the bank of the Kinabatangan River in Borneo. 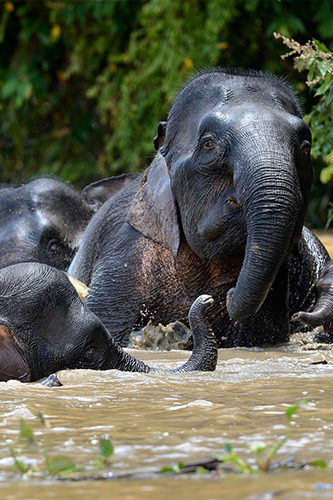 Experience the unique experience in Borneo on our unique trip as you go exploring for wildlife by river boat, surely an experience of a lifetime. 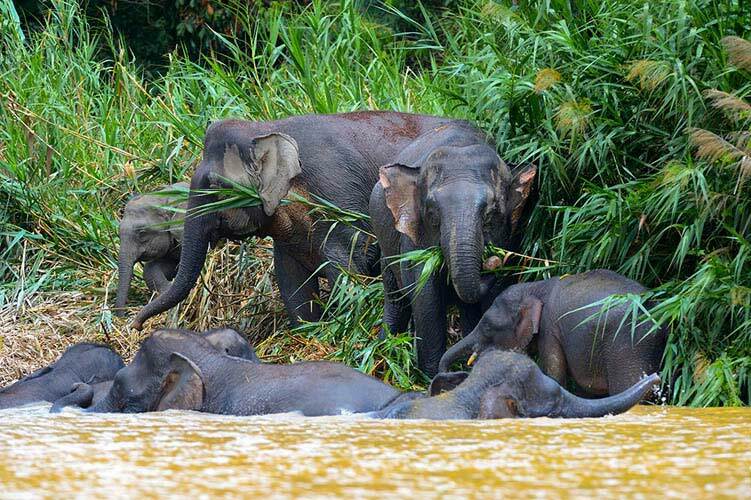 Witness wildlife like never before, as you cruise through the beautiful Kinabatangan River to see many of Borneo's rare and endangered species. The journey towards sustainability is an ever evolving one and Sukau Rainforest Lodge recognizes the need to be part of this practice. To truly enjoy nature’s gifts, we are inviting our guests to be part of this meaningful experience whilst we hold true to our eco-lodge ethos. 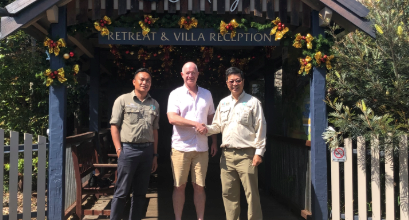 Being in one of the most sensitive parts of Sabah Malaysian Borneo, it is our duty to care and protect our natural wonders and its inhabitants. With our Green & Sustainable Practices, we aim to reduce the negative impact towards our environment and community. Make your stay with us a much more meaningful one. By simply giving back, you can make a positive difference in the lives of local communities in need and also our environment. 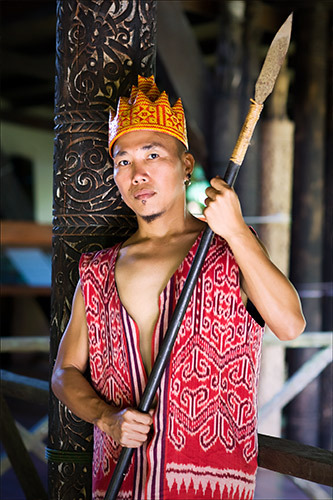 The Wall of Honour for Conservation Fellows established to recognise influential individuals, leaders, conservationists and experts who have vastly contributed to ecotourism, sustainable development, the environment, and the communities of Kinabatangan River. We had the most incredible stay at the lodge. The staff was terrific and very attentive. The surroundings were beautiful-- I loved hearing the birds in the morning. The activities were amazing-- we loved taking the river cruises and seeing the wildlife! I cannot recommend a stay at the Lodge enough! This place is so NICE! The rooms are fantastic. Food great. People so friendly and helpful. We had an amazing time and would love to come back. You will not be disappointed. Lots of nature and wild animals. Loved the Sukau Rainforest Lodge - what a cool setting. Our guide, Afon Ejo was amazing - she was knowledgeable, caring, fun and dedicated to preserving the ecological landscape she guides people through. The Lodge itself was comfortable, easy to navigate around, food was good, staff super friendly. Great experience. We are dedicated in our ecotourism business while helping the local communities and implementing environmental projects. 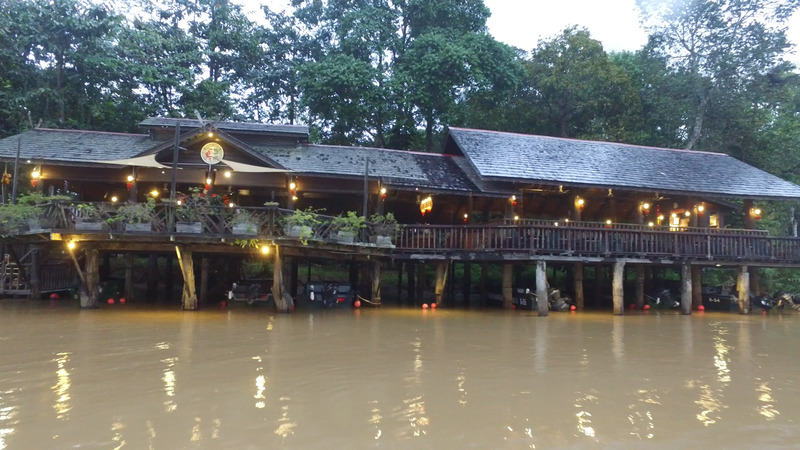 The lodge provides a great wildlife experience to tourists while preserving the Kinabatangan flood-plain. We’re proud of the numerous awards and recognition received for both our progressive tourism efforts and the initiatives.